Lionel Cronjé scored a try and set up another two to help the World XV beat Japan 31-28 in Osaka on Friday. DYLAN JACK reports. In a free-flowing encounter typical of a match of this nature, the South African flyhalf was at his skilful best for the World XV, who simply had too much quality for the ill-disciplined hosts. Bulls lock Jason Jenkins also had a solid outing, scoring a try and helping to set up another, while Willie Britz came off the bench and made a try-saving tackle in the second half. The first-half display from the hosts would not have pleased coach Jamie Joseph, especially considering that they were hardly fielding second-string players, but they improved in the second to push the visitors close. 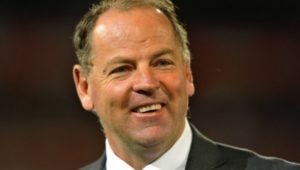 It was Japan who started stronger, taking the ball through multiple phases, but the World XV opened the scoring when wing Tevita Li broke through from his own half, throwing a loose pass inside, which Cronjé gathered and trotted in for a try. 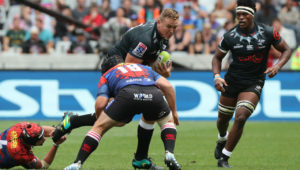 Cronjé had a hand in the World XV’s second, as he stepped inside his tackler before throwing a wonderful out-of-the-hand flick to Toni Pulu, who dived in, injuring his arm in the process. The skills were on show in Japan, as the home side then hit back when flyhalf Yu Tamara put up a contestable crosskick that found wing Kenki Fukuoka, who stepped past Harold Vorster to sprint in for their first try. Captain Adriaan Strauss came close to adding to the World XV’s lead but was held up over the line by a brilliant tackle by Fukuoka. However, they did manage to increase their lead and Cronjé was at it again, toeing the ball behind the defence to allow Li to dot down. On the brink of half-time, Jenkins powered over from close range to give the visitors a 17-point lead. 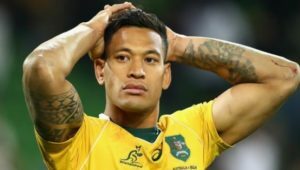 The World XV struck again straight from the kick-off through a counter-attack started by a break from Jenkins, who threw a wide pass to Li to sprint from his own 10m line, only just managing to get the ball down in the corner. With Japan under pressure as the World XV looked to seal the game, centre Timothy Lafaele read an attack perfectly to sprint from his own 22 for an intercept try. The Japanese enjoyed their best period following that and got themselves back into the game when wing Lomano Lemeki received the ball in space out wide and scored. It was a dramatic finish to the match as replacement back Ryoto Nakamura got his hand on to a chipped ball to make it a three-point game. The hosts had a great chance to steal the win but knocked the ball on in the World XV 22 after the hooter. 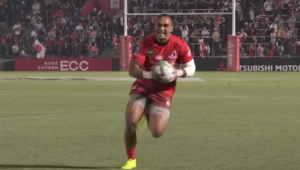 Japan – Tries: Kenki Fukuoka, Timothy Lafaele, Lomano Lemeki, Ryoto Nakamura. Conversions: Yu Tamara (4). World XV – Tries: Lionel Cronjé, Toni Pulu, Tevita Li (2), Jason Jenkins. Conversions: Cronjé (3). Japan – 15 Jamie Henry, 14 Lomano Lemeki, 13 William Tupou, 12 Timothy Lafaele, 11 Kenki Fukuoka, 10 Yu Tamara, 9 Yutaka Nagare, 8 Hendrik Tui, 7 Shunsuke Nunomaki, 6 Michael Leitch (c), 5 Samuela Anise, 4 Wimpie van der Walt, 3 Hiroshi Yamashita, 2 Yusuke Niwai, 1 Keita Inagaki. Subs: 16 Atsushi Sakate, 17 Koki Yamamoto, 18 Asaeli Ai Valu, 19 Uwe Helu, 20 Masakatsu Nishikawa, 21 Isileli Nakajima, 22 Fumiaki Tanaka, 23 Rikiya Matsuda, 24 Ryota Nakamura, 25 Ryohei Yamanaka. World XV – 15 Nehe Milner Skudder (Hurricanes), 14 Toni Pulu (Chiefs), 13 Harold Vorster (Lions/Panasonic), 12 Ma’a Nonu (Blues, New Zealand), 11 Tevita Li (Highlanders), 10 Lionel Cronjé (Toyota), 9 Andrew Ellis (Kobe, c), 8 Leonardo Senatore (Jaguares), 7 Dillon Hunt (Highlanders), 6 Jackson Hemopo (Highlanders), 5 Jason Jenkins (Bulls/Toyota), 4 Sam Carter (Brumbies), 3 Hencus van Wyk (Sunwolves/Sanix), 2 Adrian Strauss (Bulls), 1 Craig Millar (Sunwolves/Panasonic). Subs: Ricky Riccitelli (Hurricanes), Wyatt Crockett (Crusaders), Ben Alexander (Brumbies), Ben Gunter (Panasonic), Willie Britz (Sunwolves/NTT), Augustine Pulu (Hino/Blues), Santiago Gonzalez Iglesias (Jaguares), Keisuke Moriya (Panasonic), Nili Latu (Hino), Corné Fourie (Lions/Panasonic).